It’s is the season for entertaining! 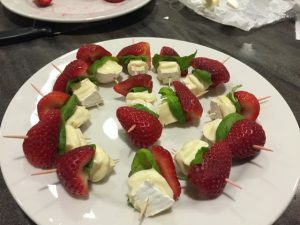 If you are looking for a simple dish that will wow your guests, while also providing a nutrient-rich punch in your diet, try these simple strawberry basil bites! 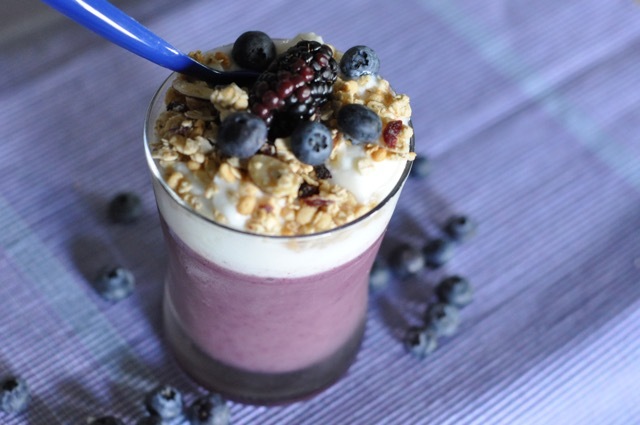 When entertaining, having something that is simple to prepare and serve is ideal. 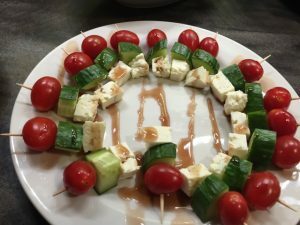 These appetizers minimize the use of plates and cutlery, which makes them perfect for a cocktail party or an appetizer. The strawberries provide a naturally sweet contrast to basil leaf, balanced by the smooth and creamy brie texture. 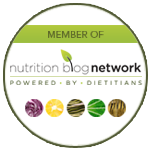 Sometimes basil can be difficult to find fresh – in which case, try substituting in mint leaves. Simply thread the ingredients onto a skewer and place on a serving plate or platter. 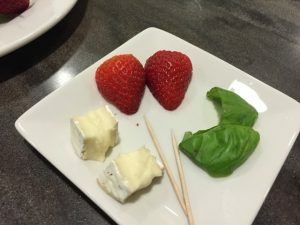 Cut the strawberries in half, as needed, cut the brie into bite-sized pieces. 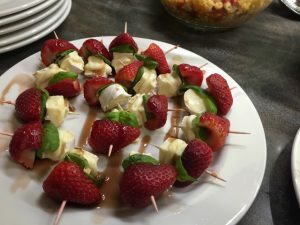 Just before serving, drizzle over some balsamic glaze overtop your strawberry basil bites for a vibrant and bright presentation. How else can you have some hands-free fun? 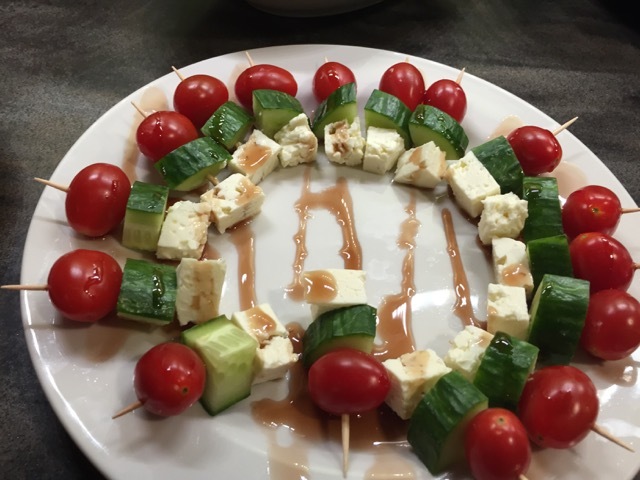 Antipasto on a stick – tomato, boconcinni, deli meats, artichoke hearts, olives, basil, fennel, cucumber.